The presented room availability, rates and discounts are actual and final for all our 189 hotels in Bandung. Continue your acquaintance with the local architectural landmarks by making an excursion to the building of the Dutch India Company. The facade of this mansion is made in the best traditions of the Renaissance style. The inner decoration of the house is reminiscent of design of ancient Moorish palaces. 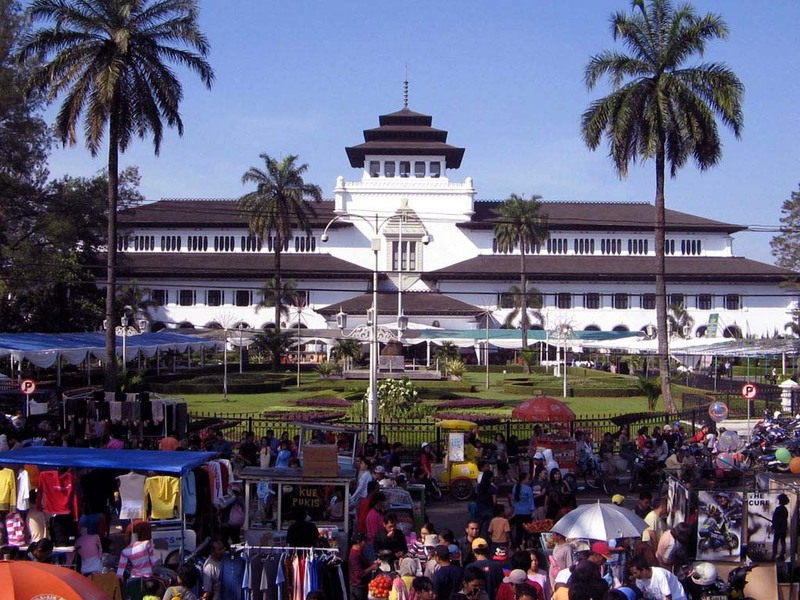 Among other attractions of the city we should definitely mention the Great Mosque of Bandung, which keeps attracting new and new visitors by the original design of its rooms and unusual architectural forms. 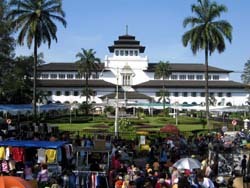 Both Bandung and its suburban areas are the location of a large number of natural attractions. Tangkuban Perahu volcano is considered one of the most famous natural sights of the region. Tourists are welcome to visit the crater of this large volcano. Typically, an excursion to Tangkuban Perahu starts from visiting a small provincial town Lembang, where visitors can look at the everyday life of the local people. You can climb to the crater of the volcano by car or make a walk to it and enjoy a beautiful volcanic landscape along the way. Fans of eco-tourism will be surely interested in visiting Dago Pacar Park, in which territory you will find several beautiful waterfalls and deep caves, and many other notable objects that are worth of attention of every tourist. It should be definitely noted that during the Second World War the caves of the park Dago Pacar were used as shelters, so this attraction is very interesting from the historical point of view. The suburban area of Bandung, which is located near Lembang, is the location of the only observatory in the country. Every year the observatory is visited by tens of thousands of travelers. These are just some of the remarkable sites of the famous resort in Indonesia, a visit to which will make your stay in this amazing resort truly unique and diverse.